Resin Victory Drama Masks Trophies. Available in 2 sizes, 130mm and 155mm high. Antique bronze with gold detail. 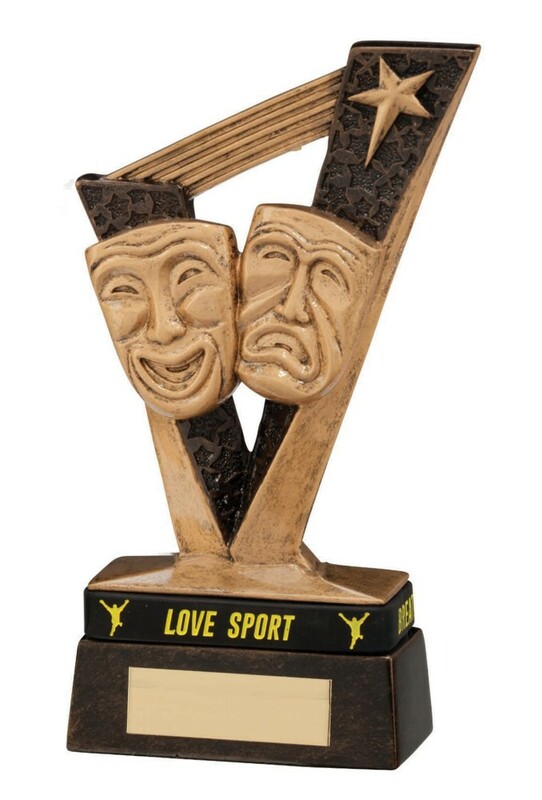 A great trophy for drama and theatre awards. Please note there is no trophy band on the smallest size.